What is a product catalog? A product catalog is a detailed list of all the products (or services) you sell and for which you are collecting reviews. Your product catalog on Trustpilot includes details about each of your products such as name, a link to a picture of the product, GTIN, and more. 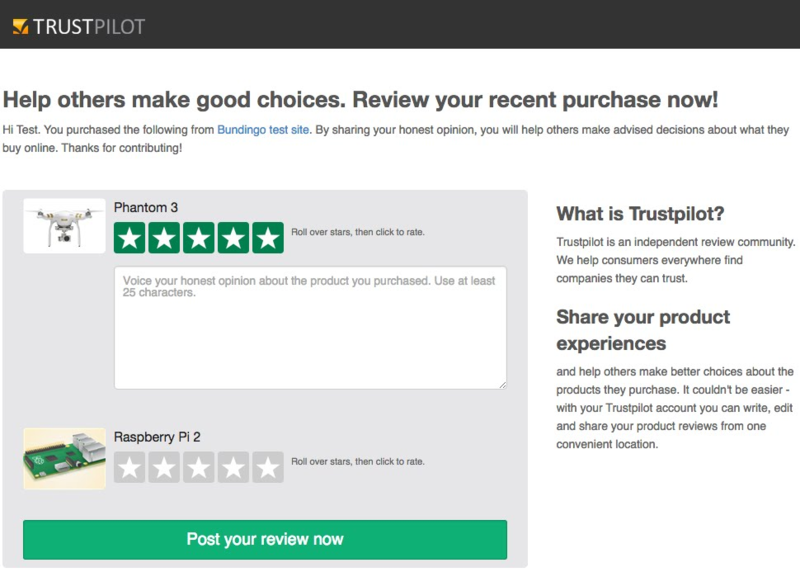 You can use your product catalog on Trustpilot to enrich your reviewers’ user experience. You can also use your product catalog to enrich your ads on Google with star ratings and thereby potentially increase sales. How is your product catalog used? Trustpilot will use the information from your product catalog to optimize the user experience of your customers, e.g. by enriching the webpage where your customers write their reviews. If you provide a name and a picture of each product in the product catalog, they’ll be added to the review form. These product details can increase the conversion rate of the invitations you send to your customers. If you are among the fast growing number of companies purchasing ads on Google (aka. Product Listing Ads), then you can use your Trustpilot product catalog to enrich your Google ads with product star ratings. 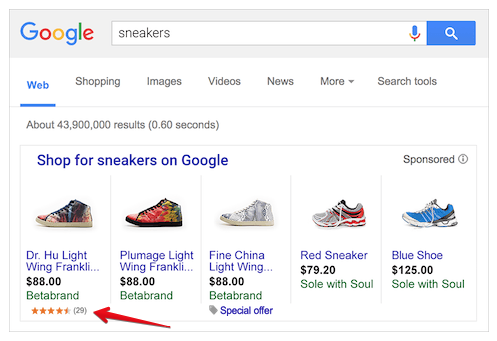 Enriching your Google ads with star ratings can help your products stand out and increase sales. The file format for the product catalog should be a tab-separated(.txt) file. Most spreadsheet programs allow you to export data into a tab-separated file. Either of the options below will create a file with a name ending in the .txt extension. For Microsoft Excel: Save the spreadsheet as tab-delimited text (.txt) by using Save As command in the File menu and by specifying the format type. In the Save As type drop-down box, select the Text (tab-delimited)(*.txt) option. For Google Sheets: From the File menu, you can create a tab-separated file by selecting Download as, then Tab-separated values. how is this kept upto date? The product catalog can be updated by manually uploading a file, that will add new entries to your existing catalog. If you use our automatic invitation methods, every invitation has the potential to constantly enrich the product catalog with new product information.